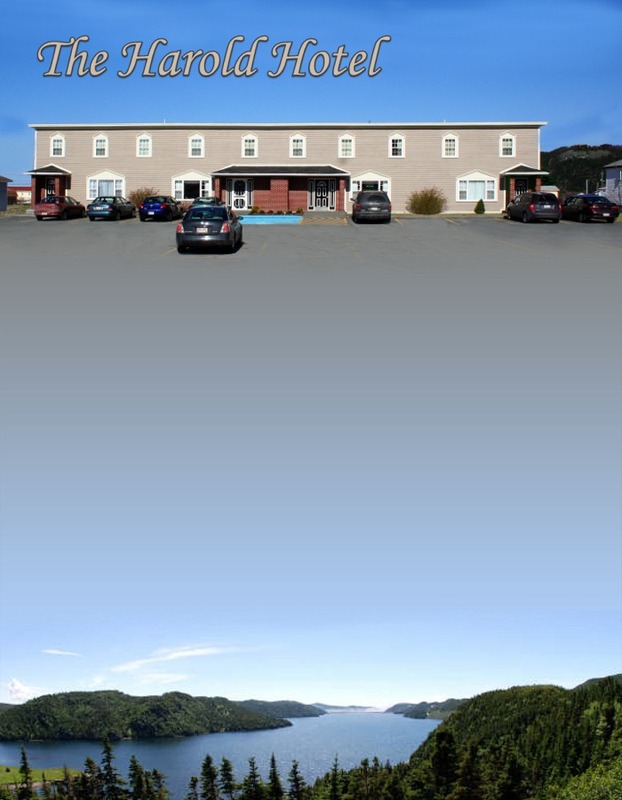 Welcome to historic Placentia on the beautiful Avalon Peninsula ~ Welcome to the Harold Hotel, traditional hospitality, fresh seafood, casual dining, comfortable accommodations, convenient location. WELCOME TO THE HAROLD HOTEL conveniently located in the heart of Placentia, on the Avalon Peninsula, Newfoundland Labrador, Canada. From the capital city, St. John’s, we are approximately 1 hr. 20 minute drive. Placentia offers much history, as can be experienced in any of our museums or National Historic Park. Experience our culture through traditional music or dinner theatre or simply stroll our streets and along our shores and experience scenery, breathtaking - second to none! Enjoy our fully licensed restaurant, pub and pizzeria. Delicious home-style cooking, fresh seafood specialties. So, whether you are traveling on business or pleasure, drop by, have a meal and stay the night. You can rest comfortably knowing that our family is your family and together with our experienced staff we aim to guarantee your stay is enjoyable! Delightful Newfoundland hospitality, 18 comfortably appointed guest rooms, and of course, thoughtful amenities. Relax. Enjoy! The Harold Hotel has been family owned and operated for 5 decades since its inception in 1962 by founders John and Margaret Kelly. With 18 guest rooms, we offer many amenities of a larger hotel but our smaller size allows us to provide true Newfoundland hospitality at its best!